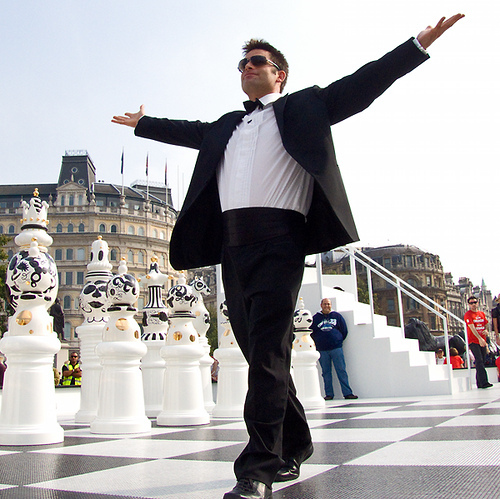 The markets, not to mention the general competitive nature of capitalism, have a unique way of humbling the most cocksure players, in due time. Indeed, it was not too long ago that Under Armour stormed onto the retail sportswear scene and took no prisoners, justifiably strutting around the sector as if they were the future. That brimming-with-confidence phase ran into several roadblocks in 2015, and the market subsequently showed now mercy to the stock, seeing roughly a 60% haircut into late-2017 while Nike, the epitome of the Big Dog in the group, asserted its dominance and printed one new all-time high after the next. However, Under Armour recently impressed with earnings, and the market seemed to warm up to the stock in a way we have not seen in a good while. Their products are still in vogue, and a resurgence of sorts is certainly within the realm of possibilities, especially as we head into the holiday shopping season. 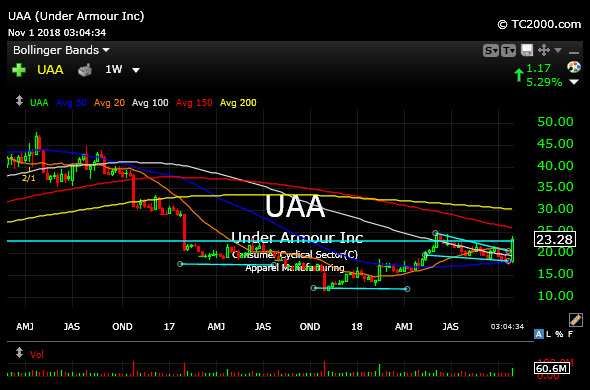 On the UAA weekly chart, below, a move over $24.50 now could easily trigger the highlighted multi-quarter bottom for a run into the $30s. I suspect the stock may very well turn into a "stocking stuffer" if the broad market continues to firm up in the coming weeks. The Under Armour swagger took a big hit in recent years. But bulls have turned in a quietly strong performance in the stock in 2018, thus far. And the cherry on top into New Year's now seems increasingly likely after the latest report.